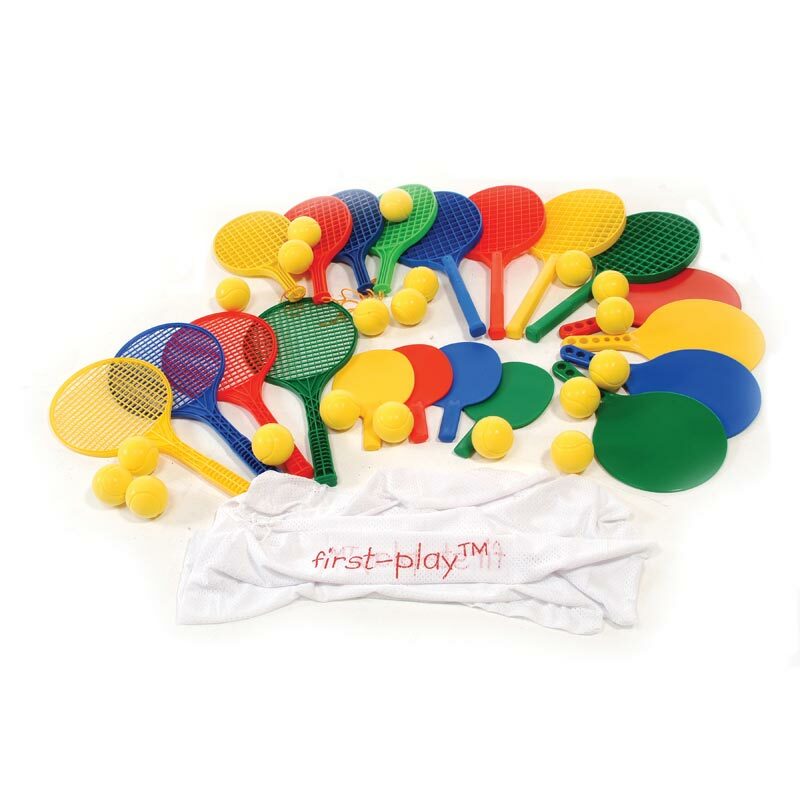 The First Play ® Bat and Ball Pack is a 40 piece set ideal introduction for children to develop striking, balance and movement techniques. Five variations of colourful rackets. Various handle lengths to suit different ages.